We are looking for support workers who can make a difference in our Glasgow Housing Services which currently comprises of Housing Support Services in; Strathbungo, Mosspark and Pollok. The people we support will have an occupancy or tenancy agreement so support is provided in people’s own homes. We offer personalised services to all the people we support and adapt to their chosen lifestyles and aspirations. We support people to meet outcomes and engage in activities that enrich their lives. There is no such thing as a typical day and the role is varied. We can have some challenging times supporting someone through a period of ill health or distress. But more often than not we are out for dinner, cinema, parties, climbing up a hill, horse riding, holidaying abroad, art or music sessions, having a massage chilling at home watching the soaps, and yes like everyone have to fit in shopping and cleaning. You will never be bored. Support is required in various forms for 24 hours a day 365 days of the year. A share of evenings, weekends and holidays will be required. We do however work to ensure rotas are fair and everyone has opportunity to balance work with home life. Shifts times can vary from service to service and occasional sleepovers will be required. Day shifts can comprise of Earlies, Lates, Mids or long days. Shifts can start 7.30am and can finish 2.30pm. Late shifts start 2.30pm and finish 9.45pm. There is also a service that operates a 10am start for full day into a sleepover and a 10 am finish the following day. This service is linked to other services so your full rota will not necessarily comprise solely of these shifts. 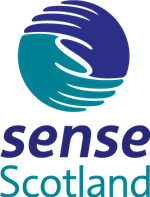 As an organisation Sense is very committed to staff development. You will have access to induction, regular supervision, peer support meetings and management and practice development forums within the organisation. In addition given the nature of some of the health issues and behavioural support needs the people we support have, specific training will be provided. Applications for Part-time and relief hours are welcome.